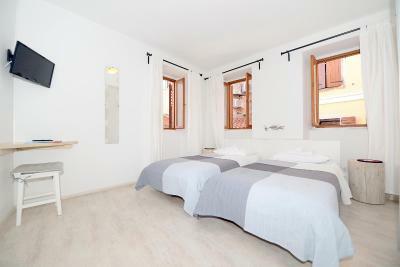 Lock in a great price for Villa Borgo B&B – rated 9.1 by recent guests! The staffs were very kind and nice. I also had scrambled eggs with truffles. It was amazing. The building itself is around 500 years and you feel you are staying in a historic building. Terrace view was awesome which you won’t enjoy any other places. Great B&B right in the town. The staff was excellent. We were a bit late, and my phone didn't work. They closed at 8 but were still around and gave us a ride to get our luggage for the stay. Great breakfast in the morning as well. 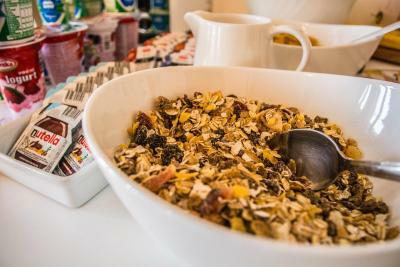 Lovely staff, lovely hotel, lovely views, lovely breakfast, we fell in love with the place. Really nice place. 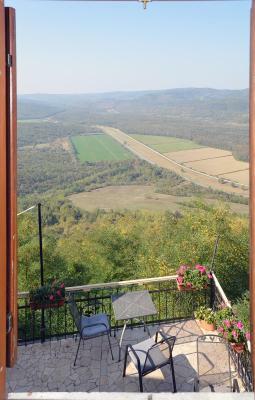 Great terrace for looking out over the valley of vineyards. Staff very friendly. Motovun is a really neat little town. 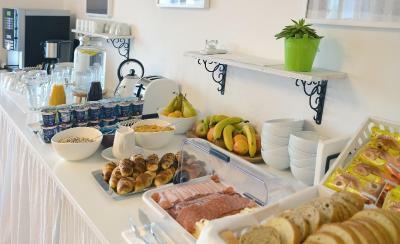 Good location, nice staff, free coffee, good breakfast! The hostess, Maura, was very tuned in to our questions and pursuits and, when she saw how interested we were in Truffles she set up a truffle hunt. She also steered us to our best meal of our 14 day trip, at Canova Mando. The view and town were incredible but the grace of our hostess sealed a perfect stay. 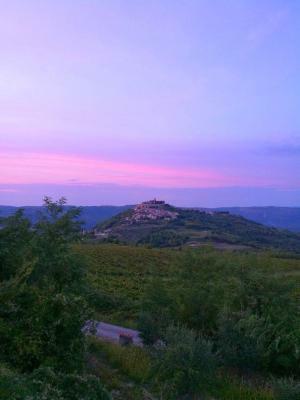 Excellent stay in the charming city of motovun. 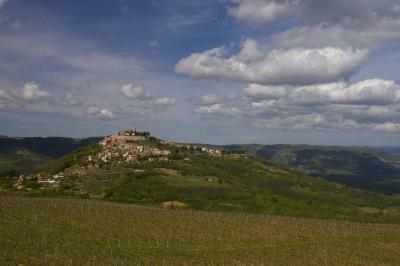 A great location to explore istria and the small villages near motovun. Staff were very friendly and also offered to pick us up and take us back to the car since no visitors cars are allowed to enter the centre of motovun. Great terrace open for all where youcan have breakfast with an amazing view and sunset. 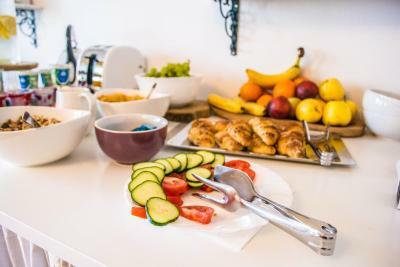 Villa Borgo B&B This rating is a reflection of how the property compares to the industry standard when it comes to price, facilities and services available. It's based on a self-evaluation by the property. Use this rating to help choose your stay! 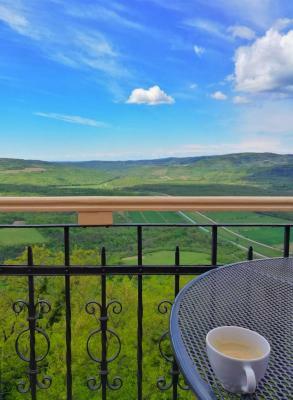 One of our top picks in Motovun.Set in the heart of the picturesque Istrian village of Motovun, Villa Borgo features panoramic views of the valley. Just few steps from the ancient City Gates, Villa Borgo is fitted with a spacious terrace overlooking the surrounding area and Mirna River. 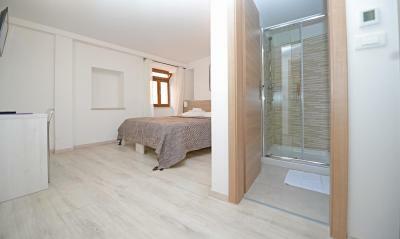 All rooms and apartments come with free Wi-Fi, a fan and a private bathroom. 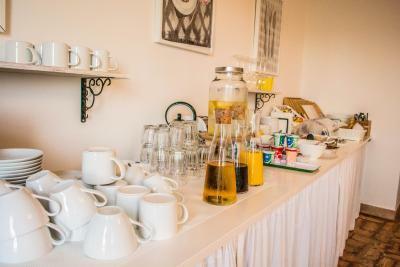 The apartments also have satellite TV and an equipped kitchenette with a microwave and a toaster. 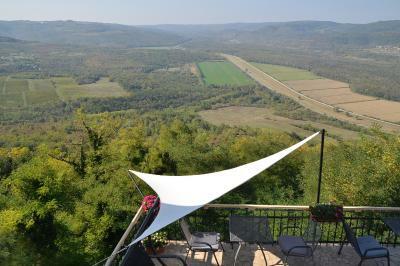 Paragliding Center is few steps from Villa Borgo. The owners can arrange truffle hunting with professionals. 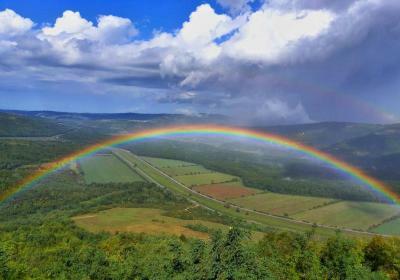 Small Istrian villages of Grožnjan, Završje, Vižinada and Livade can be visited. 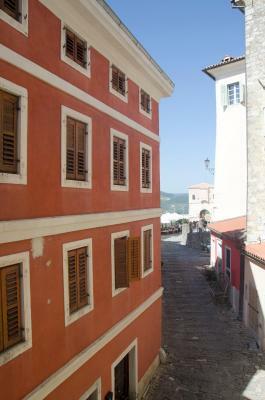 Villa Borgo is located in the historical center and pedestrian zone of the city of Motovun. 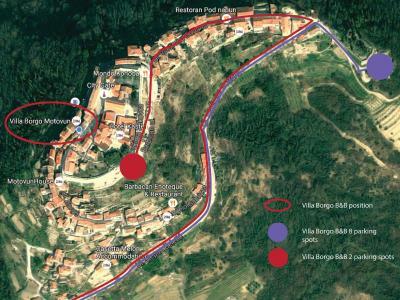 Guests of Villa Borgo have a possibility of free parking at a location nearby. Pula Airport is 44 mi from Villa Borgo, while Rijeka Airport can be reached within 62 mi. A bus stops at the foot of Motovun. 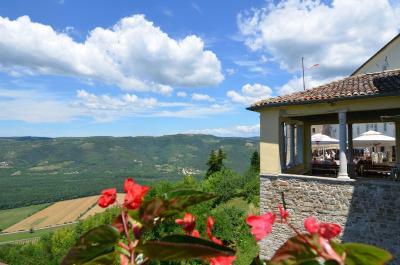 This property also has one of the top-rated locations in Motovun! Guests are happier about it compared to other properties in the area. 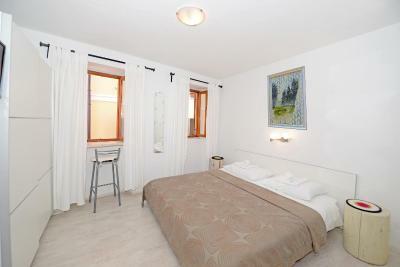 When would you like to stay at Villa Borgo B&B? The room comes with a fan, heating and a wardrobe. The private bathroom is fitted with shower and free toiletries. Pets are allowed upon request in this apartment. Charges are applicable. 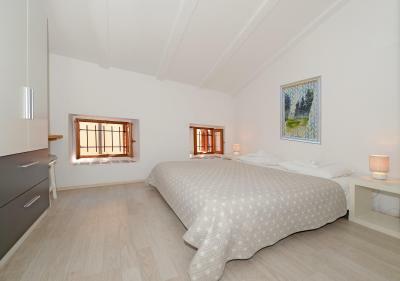 Offering a view of River Mirna and the surrounding hills, this room comes with a fan, heating and wardrobe and has a wooden floor. The private bathroom is fitted with shower and free toiletries. This twin/double room features a electric kettle, private entrance and fireplace. House Rules Villa Borgo B&B takes special requests – add in the next step! Villa Borgo B&amp;B accepts these cards and reserves the right to temporarily hold an amount prior to arrival. Villa Borgo B&B accepts these cards and reserves the right to temporarily hold an amount prior to arrival. Everything was perfect! Location, stuff, breakfast! And it's very clean. Highly recommended! Customer service via phone was excellent but at first the receptionist didn't seem helpful. After check-in all was ok. The terrace view was purely amazing! Noise as night, as right by restaurants. Clean, but our room was rather small. Nice breakfast. Staff was great! Absolutely everything. Relaxed atmosphere. Incredibly helpful and cheerful staff. Stunning views. Very reasonably priced. Next door to a superb restaurant. What is there not to like. We will be back! Incredible views and location! Our hosts were exceptional. Picked us up from the parking area and drove us right to the door (and returned us on our checkout). The room was perfectly adequate. Breakfast in the morning was simply outstanding. Vila Borgo has everything you need. I will definitely stay again when I return. The staff were great. Came to pick us from parking area which turned out to be VERY handy. Rooms were great and really enjoyed the terrace with superb view. Highly recommend. It was one of the pricier stays we had in Croatia but we also got more for our money. 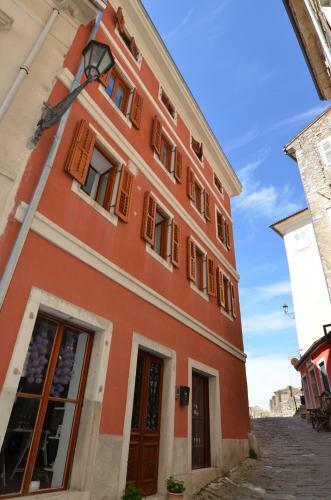 The hotel is lovely - traditional stone building in this historical old town that has been respectfully renovated. Our room was in the eaves - I don't mind small rooms, and the tiny windows gave it lots of character. Nice bedding and clean/modern fittings throughout. The staff were very friendly and helpful throughout, and we were able to leave out bags for a couple of hours after checkout. Great breakfast (with eggs if you like! ), and the view from the communal terrace is incredible. The bedroom was rather basic, it would really benefit from some home comforts. The wifi didn't really work unless you were in the reception area. The staff are brilliant and the best views in the whole town are here, up on the balcony where you can eat their amazing breakfast. One day we even had coffee above the clouds!